Read this Before You Buy Hair Extensions, a 101 Guide. Hair extensions are a great way to amp up the beauty, length, and volume of your hair. Whether you’re ready to make your hair look thicker or to extend your length, hair extensions can create a beautiful, dramatic, and natural look. Should you buy temporary or permanent hair extensions? Which texture of hair extension should you get? Which length of hair extension should you get? What weight hair extension should you get? How many grams of hair extensions do you need? How to choose the right color for your hair extensions? If you’re buying hair extensions for the first time, picking the right texture, color, weight, and length can be intimidating. But don’t worry! Below, you’ll find a detailed and informative guide to give you all the knowledge you need to select and buy the perfect hair extensions for you. You’ll find there are hundreds of hair extension options available. How do you know which is best for you? Choosing whether you want temporary or permanent hair extensions and picking which installation type is right for you is the best first step! 2 Should You Buy Temporary or Permanent Hair Extensions? Deciding whether you want temporary or permanent hair extensions depends on how you’d like to use your hair extensions. For instance, how you prefer them installed, and what’s your planned budget? While all hair extensions are technically “temporary,” permanent hair extensions can be worn for 2-3 months at a time before needing adjustment due to hair growth. Short-term hair extensions on the other hand are worn for special events or daily use and removed at night. Temporary hair extensions include flip-ins and clip-ins. Clip-ins tend to provide increased volume and length. 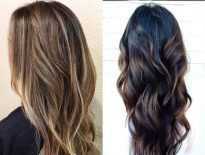 Flip-ins, however, increase just the length without much impact to volume. Both are easy to install and can be attached in 1-10 minutes. Women use short-term hair extensions for special occasions or as an easy daily wear alternative to permanent hair extensions. Permanent hair extensions, while not actually permanent, don’t have to be removed at night like temporary hair extensions do. For example, you can attach these extensions by a variety of methods including rings loops or tips, glue, tape, and more. They can last anywhere from 4 weeks to 2 months as long as you care for them well. See our list below for the most common permanent hair extension installation methods. You may see hair extensions listed as “cold fusion” or “heat fusion.” This simply tells you whether or not the hair extension needs heat—usually a special heat fusion tool—to attach the extension. Clip-in hair extensions are the most popular extensions in our store, and for good reason: they are super easy to attach and remove without damaging your hair. Because of the fast and easy installation process, they are preferred by clients who do not want to spend any time in the hair salon. Clip-in hair extensions come in wefts, a hair industry term for a section of hair extension with a woven top. In clip-in hair extensions, these wefts have snapping clips that are used to attach the extension to your hair. On average, you will find that a quality clip-in hair extension will come with 6-10 wefts that are used on different parts of your head. Basically, there is usually one large weft for the back of your head, and additional wefts that can be strategically placed around your scalp for body and volume. To attach clip-ins, lift your hair and snap the clips near the roots. Hair extensions are attached behind your real hair to ensure blending and to cover the clip or other installation mechanism. Some cheap clip-ins will have metal tips to cut costs, but premium clip-in hair extension brands like AiryHair use a silicone coating to prevent tangling and hair cutting. Flip-ins use a flipped wire installed at the crown of your hair. This temporary hair extension type is also often called instant hair extension. In other words, these extensions can be installed at home in just a few minutes with practice. Since flip-ins give you just one layer of hair extension, flip-ins are best used when you’re only interested in extending hair length, not hair volume. While not technically “permanent,” these hair extensions are meant to be worn for several weeks at a time for a more permanent, easier, and more natural look. Some permanent hair extensions can be installed at home while others sometimes require help from a professional hair stylist. Tape-in hair extensions are our second most popular product at AiryHair. This is because these hair extensions are easy to apply and remove without damaging your hair. Above all, you can wear them longer than temporary hair extension options, lasting up to 6-8 weeks at a time as long as proper maintenance techniques are used. When properly cared for, these extensions will last 6 months or longer, only needing to have placement and tape readjusted as your hair grows. Tape-in extensions are also popular because they don’t need to be applied by a professional stylist. Basically, you can easily apply them at home! Your package will come with 20 to 40 tapes (we recommend two to three packs). Cheap extensions will sometimes have colored tape, which we do not recommend since it doesn’t blend well into your hair. AiryHair tape-in extensions come with invisible tape. To apply, lift a small section of hair, peel the protective layer off your AiryHair extension tape, and apply under the hair section. Take another extension, peel the protective layer off the tape, and put it on top of this hair section and squeeze. Your hair should be sandwiched between the two tapes. Micro Ring Loops come in packs of 100s strands. Unlike i-tips that require additional beads, micro ring extensions come with everything pre-attached. Poor-quality hair extension companies have poor quality loops that sometimes don’t attach properly or don’t have tube colors that match the hair extension. AiryHair is proud to be one of the very few brands that use high-quality tubes and dyes them to match the tone of your new hair. The installation process is simple. To install micro ring loop hair extensions, simply take a strand of your own hair and insert it through the tube, then simply pull the loop which secures it. This gives you the freedom to focus on specific spots to build volume and length as desired. Nano ring tip and i-tip extensions are two types of “stick” extensions. A full pack of extensions will include 100-200 strands. 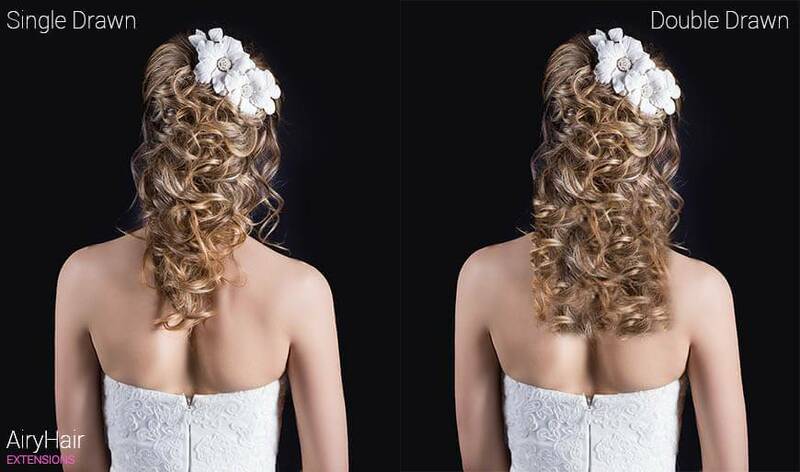 To install, simply take small strands of your own hair and insert them through the ring with the hair extension. Then use a set of pliers to close the ring. Keep in mind that just like with all long-term hair extensions, the tips must be moved closer to the roots as time goes by. With the nano ring and i-tip hair extensions, clients can usually slide these extensions rather than installing them from scratch as hair grows. Overview: Strands of hair have keratin-based tips that are fused to your hair in small strands/sections using a professional heating tool. This is a long-lasting, very natural looking hair extension solution. Essentially, hundreds of strands of hair are attached to your existing hair using a special heating tool. Hair extension strands have a keratin-based tip (a natural protein) that fuses to your existing hair with a professional heating tool. So, if you want long-lasting results, pick these. Overview: Wefts of hair that come without an attachment mechanism. This is because you can ask your stylist to customize the attachment and include sewing, gluing, or clips or do all yourself. Hair wefts are sections of hair that you can apply in a variety of ways. This will allow you to customize your hair extension experience. Typically used by professional hair stylists, hair wefts may be applied by being sewn in (to small braids along your scalp) or may be glued or clipped in. For clients that suffer from hair loss or other health-related issues, extensions might not always be an option. That’s where wigs come to the rescue. AiryHair sells all the most popular wigs with density from 120% to 200%. 3 Which Texture of Hair Extension Should You Get? The answer to this question is “it depends.” You want to find a hair extension with a texture most similar to your current hair texture or the texture you will have at the time of application. Mostly because it much easier for you to blend your existing hair with your hair extensions. If you have straight hair and love the way it looks, choose a straight hair texture! If you have curly hair and would like straight hair extensions, consider a chemical relaxer or keratin treatment, or understand that your hair will require regular styling to match the straight hair extension. Be sure to use a heat protectant spray and understand that excessive styling of hair extensions can result in the extension not lasting as long. If you have straight or wavy extensions, then a wavy hair texture will typically blend well with your own hair. However, curly hair can sometimes be difficult to blend depending on the natural texture of your curly hair. In these cases, you may use a hair weaver to style both your hair and extensions, so they match. You may also consider going with straight hair (yes, straight!) and asking your hair stylist to curl it. 4 Which Length of Hair Extension Should You Get? The length of your hair extension depends entirely on your personal preference. Use the image above to help determine where you’d like you the ends of your hair extension to hit. How to Use the Above Graph? What length of hair extension should you get? 14 inches (35 cm) and shorter. This length is great if you have shorter hair and want to add volume. 16-18 inches (40-45 cm). If you have never used hair extensions before and don’t want to increase the length of your hair too much, consider going with an 18-inch extension. 20-22 inches (50-55 cm). This is our most popular length. This is because these extensions look amazing on almost everyone and create a “hair goddess” effect. 24 inches (60 cm) and longer. For clients who want to achieve the “wow” factor and look like a model from a shampoo commercial. 5 What Weight Hair Extension Should You Get? The next question that many women (and men) ask us which weight of hair extensions to get. Most of the time, more weight means thicker hair. However, keep in mind that 20-inch (100g) extensions differ from 16-inch (100g) hair. Below you will find a guide for 18 to 22-inch (45 – 55 cm) extensions. With the exception of tape-in hair extensions (see why below), we advise you to only buy clip-in or other types of low weight extensions if you have either extremely thin hair or are just need some additional hair for styling. Otherwise, it might not cover your full head and may look unnatural. For tape-ins, we recommend either 50 grams (0.5g per strand) or 100 grams (1g per strand) extensions. Since you can combine them into any bundles you want, the weight does not matter that much. Women with thin hair use this weight to add volume or length. One gram per strand is the “industry standard” and is perfect for women with thin hair or hair of average thickness. Not only do these extensions add length, but they also increase your hair volume. For those with thin hair, the news is even better as strands of these weights give much more dramatic results. Women with thick hair or average hair prefer these hair extensions. This weight is perfect for achieving a dramatic look. They are perfect for adding significant volume and length. Although some suppliers offer extensions that weigh 200 grams or more, we don’t recommend wearing them (and we have been in the business for more than 11 years). Why? Such thick and heavy hair tends to put a lot of stress on your existing hair as well as your scalp, resulting in faster hair loss and overall discomfort. 6 How Many Grams of Hair Extensions Do You Need? One of the most important things when it comes to buying your new locks is ordering enough extensions to cover your full head. These are our recommendations for the lengths of 18 to 24 inches. If you want to rock even more (or less volume), for every 2 inches multiply or divide the number by 10%. For thin hair we recommend 60 to 100 grams. For medium to thick hair, we suggest 120 to 180 grams. For thin hair, go with 100 to 140 strands at 0.5 – 0.7g each. For medium to thick hair, we recommend 120 to 200 strands that are of 1g each. If you have fine hair, get 60 to 80 pieces (30 to 40 sandwiches) at 50g each. Choose 60 to 80 pieces at 100 grams each for thicker hair. Since wefts are so versatile, your existing hair thickness doesn’t matter. Go for 1.5 to 2 wefts at 100 grams each. 7 How to Choose the Right Color for Your Hair Extensions? It can sometimes be difficult to choose the right color of hair extensions from suppliers who only have tiny pictures or small, low-quality photos. AiryHair takes care to use high-quality photos in direct sunlight using professional equipment. Use our hair extension color guide to find the right color for your extension! As for which color will work best for you, this is entirely up to personal preference. Our only note is to remember the rule of thumb: lighter colors tend to make people look younger while darker colors lend a more mature look. We’ve been in the professional hair extension industry for over 11 years, and the truth is there is no such thing as hair extension grades. That’s simply a marketing tool. Suppliers use it ambiguously label their products in a way that expresses—often deceptively—quality. Since these grades are unregulated and without actual quality standards, ratings such as AAAAA+, 7A or 10A doesn’t mean a thing. In other words, ignore this marketing fluff and rely on real facts. Look for weight, whether the hair extensions are genuine Remy, and customer reviews. The picture above denotes the difference between single drawn and double drawn hair extensions. The main difference is that double drawn extensions are trimmed by hand to eliminate shorter hair, giving your hairstyle a more defined look. An example we like to use is that if you were to take 28” single drawn hair extensions and cut the thinner last 6 inches off the end, you would end up with hair that is of similar thick ends as you receive with a 22” double drawn hair extension. Do hair extensions shed or tangle? What hair extension application method should I choose? Can you install hair extensions yourself? Do I need long hair to get extensions? Can I install hair extensions on thin hair? What hair products should I use? Can people tell when I wear hair extensions? What are the best hair extension brands? Do I have to style my hair extensions? Will my hair blend with hair extensions? Can you sleep with extensions? Remy hair means that the cuticles of the hair are aligned in the same direction. The cuticle of your hair is the outside layer of a single strand of hair. Under a microscope, this outer layer looks like a bunch of tiny shingles laying on top of each other. In other words, when your hair grows from your scalp, all of these microscopic shingles are facing in the same direction. With hair extensions, this isn’t always the case. Lower quality hair extensions may have some strands that are upside-down, which can create a “zipper” effect with other strands, causing them to lock together and create tangles. Multiply this by hundreds of strands of hair and you can end up with quite the mess of tangles. It is always better to buy Remy hair for a smoother, more manageable, and more beautiful look. Just like natural hair, wefts are always going to shed and tangle a little. Think about your natural hair and the maintenance it requires; adding additional length and volume is going to increase this maintenance to prevent tangling. However, with proper care, you can minimize shedding from hair extensions and minimize tangles. Our Remy Premium Plus hair extensions are dye-friendly. Dyeing extensions, in general, can be tricky since they’ve already been processed and dyed. Dyeing your extension an additional time will cause your hair and/or the hair extensions to become damaged or dry. Above all, pick a color as close as possible to your own color or the color you will have when the extensions are applied. We always recommend a professional dye your hair extensions when needed rather than using a home-dye kit. This depends on what kind of results you want and your day to day activities. If you want extensions that you don’t have to wear all the time and can install yourself, then clip in and flip in are the best options. You simply attach the clips before you go out and it will take you only a couple of minutes. When the day is over, just take them out and store them. If you don’t have the time to put hair in every day, then you should think about more permanent options. There are a lot to choose from, like fusion, micro beads, and tape in, and all of them give great results. With some basic skills, you could potentially be able to apply almost any type of hair. But some are easier than others. Clip in and flip in methods are extremely easy and perfect for beginners. Following a simple tutorial, you can apply clips in minutes. Tape-ins are also easy to apply because they require no tools, you simply apply the tape. Fusion and micro beads are strand by strand methods and you need clamps or pliers in order to put them in. They take a little bit longer than other methods and you will probably need a helping hand for the back of your head. 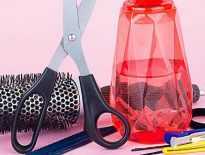 So, if you’re on a budget and don’t want to spend a lot of money at the salon, find some guides and tutorials that are easy to follow and don’t be afraid of trying to do it yourself. No, your hair doesn’t have to be that long in order to get extensions, but it is recommended that you have at least 8-10 centimeters in length. That way, it is much easier to apply the hair and you will have a lot more application methods available. Tape-ins are usually recommended for short locks because they are very thin and discrete, so they won’t be visible. It depends on how thin your hair is. If it’s not that severe, then you can get extensions, but you have to be careful which methods you use. Flip-ins are the least invasive method and safest for thin hair because there’s absolutely nothing pulling on it and it’s least visible. Tape-ins are another great option because they come in small, thin strands that don’t put much strain on the hair. Other extension methods like clips or micro beads are not recommended because they could damage your already thin strands and it probably won’t be able to hold it. It is best that your stylist does an assessment of your hair density and recommends the best option for you. When washing hair extensions, it’s important not to use strong shampoos that contain chemicals. You want a mild shampoo that is very moisturizing because that’s what your extensions need the most. Also make sure that the product you use is sulphate free. Leave in conditioners are another important part of hair care. You should choose one that fits your texture and protects it from damage. You can use additional hair treatments, but don’t go overboard with the products. Absolutely not. All extension types are completely invisible and everything people are going to see is beautiful, lustrous locks. Given that you blended your hair perfectly and have the right color, it will look completely natural. That’s the awesome thing about hair extensions, you get amazingly voluminous and long hair, and everybody thinks it’s completely natural. There are so many different brands to choose from and it can be very hard choosing the right one for you. If you’re looking for high-end products that are made from Remy hair, some of the best companies are LuxyHair and AiryHair. Read our post about best hair extension brands for more details. It is best if you style your extensions and to take proper care of them if you want them to last for a long time. Most of the time, it’s not a wash and go situation, you have to dry them and take the time for styling. So, it does take a little bit of extra time and effort if you want your locks to look perfect. Most people have to style their extensions except for that small percentage of women who have the exact same texture as most human extensions, which is a slight natural wave. If you don’t style them, there is a risk of not blending properly. For example, if your hair is completely straight and you get slightly wavy extensions, when you wash your locks and don’t style them, you’re going to see the two different textures. It’s not going to be seamless and it’s not going to look that great. Or vice versa, if have curls and your extensions don’t exactly match them, you must style them so that they look natural. Many people worry about this and the simple answer is yes. Your hair will blend in perfectly with your extensions, but you do need to follow some simple tips. In order to get a seamless blend, you must pick the right color, or even better, a couple of different colors. If you combine a couple of different shades, the extensions will look much more natural and mix better with your color. It is also a good idea to cut the extensions, so they match your natural strands perfectly. If you’re having problems with picking the right color, there are color swatches you can order, or you can ask your stylist for help. That depends on what kind of extensions you have. If they are permanently on your head, then you obviously have to sleep with them. But make sure not to let your hair loose when you go to bed, it is recommended that you make a ponytail or a braid. That will prevent matting and tangling, and your locks will look amazing when you wake up. If you have clip-ins, then you should take them out before sleep. It’s not necessary to wear them in bed because you can easily put them in again in the morning. Unlike natural hair, extensions don’t require frequent washing. That’s great news because it can save you a lot of time. For example, it is recommended that you wash your clip-ins after every 20 wears, which is a long time. When you have permanent extensions, it is recommended that you wash them once or twice a week. Doing it every day or every other day is simply too much, and it doesn’t do anything good for your extensions. Hair extensions are wonderful and an incredible tool to enhance your look or change it completely, to give you the long, luscious locks you’ve always wanted, and to add thickness to your hair. If you inform yourself beforehand and choose the right products, you will have a great experience and be very happy with your extensions. Now that you have finished reading our FAQ, head over to AiryHair home page and select your preferred fusion type! Get Your Perfect Hair Extension Look! Are you ready to put your knowledge to work and pick out the perfect hair extension for you? Shop now in our comprehensive online hair extension store!